Yesterday, the stitch up by the party’s right plunged to new depths, as the NEC procedure subcommittee voted to extend the 6-month membership freeze to affiliates, thereby disenfranchising anyone who has joined a Labour-affiliated union in the past six months – and shutting off one of the left’s best routes to sign up new voters for Jeremy Corbyn. The potential opportunity was already being used by newer party members already disenfranchised from their own election, as Unite’s Community membership received 4,000 applications in 24 hours – a buzz of activity fuelled solely by social media. The only option left now is the £25 registered supporter sign-up which has been designed nominally for reasons of administrative costs, but in all likelihood to shut out the groups most likely to vote for Jeremy Corbyn – the young, those in full-time education, the unemployed. Conversely, polling from last years leadership election showed that those with greater means, and therefore more likely to pay £25 for their vote, were more likely to support the right’s candidate, Liz Kendall. There is hope that some, or all, of the new, punitive regulations can be overturned. The full NEC meets again on Monday where the freeze date, at least for affiliate supporters, can be expected to be challenged. How the NEC votes on the matter would be critical to the outcome, and potentially the outcome of the whole election. For the avoidance of any doubt, any dispute as to the meaning, interpretation or general application of the constitution, standing orders and rules of the Party or any unit of the Party shall be referred to the NEC for determination, and the decision of the NEC thereupon shall be final and conclusive for all purposes. The decision of the NEC subject to any modification by Party conference as to the meaning and effect of any rule or any part of this constitution and rules shall be final. 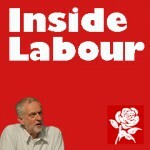 How can I vote for Jeremy Corbyn? Disappointing for many full members, including my sister who joined at beginning of Feb, that in order to vote they now have to pay a further £25. Much upset on my local CLP Facebook page as people just can’t afford it. 160 members in my constituency are affected. If all did find the money and try to sign up I bet the web page will crash! Then what happens. The amount of £25 seems to have been the largest amount suggested at the meeting?! Lower amounts of £10 £15 etc were rejected (Ann Black). I feel sure you are correct James in that this amount has been set to try to exclude as many Corbyn supporters as possible. i myself have a weekly income of less than £110 and could never afford this amount. So great that Corbyn is on the ballot but still feels like gerrymandering is happening! Can anyone confirm (or debunk) this – I’ve read that the cut off date for nominations for any leadership race/challenge was set at the back end of last year, and that it was JUNE 24. This, if correct, makes *both* challengers ineligible to run as neither threw their hat in the ring til well into this month. Unless of course, rules made on the hoof in order to preserve blue labour are the only ones that matter. Yes, that is correct but the rule was ignored. The NEC could have enforced it if it had wished to. Where can we find out who voted on this date for the cut off of members and that voted to raise the fee to £25 please ? I understand it was a secret ballot. People can speculate though. Certainly, there was a vote to have the cut-off date as 24 June but this was tied 14-14 so fell.